Faced with unexpectedly needing to find a new head coach for the girls swimming and diving team, Berlin athletic director Jeff Mauri was quite pleased with who he was able to get in Andrea Gallo. Former Berlin girls swim coach Michael Cwirka was suspended in February and put on administrative leave with pay, pending an investigation, amid allegations of an inappropriate relationship with a student. But it didn’t take long for Mauri to get someone he trusted with the team for the position. 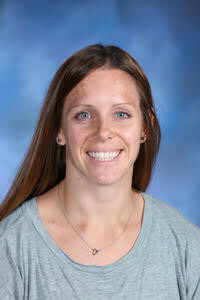 Gallo is an eighth grade teacher at McGee Middle School in Berlin and for the last three years has been an assistant for the Berlin girls swim team. Before starting her coaching career, Gallo was a Berlin High School swimmer and diver herself. She continued her athletic career at Eastern Connecticut State University. From there, she was the head coach at Bristol Eastern from 2010 to 2013 and during the 2012 and 2013 swim season she led her team to back-to-back CCC South conference championships. Gallo’s main objective for this year is to build a positive team culture. She believes that is is the most important step in building a successful team - creating an environment that the team wants to be in and relationships of trust and respect. Her next goal is to close the point gap against some of the bigger teams like Hall, Conard, Farmington and Southington. Last season the Redcoats were 5-5, including an eighth place finish at the Class S state meet. Posted in New Britain Herald, Berlin on Sunday, 2 September 2018 21:10. Updated: Sunday, 2 September 2018 21:12.